The Road Not Taken develpoer Spry Fox's newest game, Alphabear, is deceptively simple, hilarious, and utterly enchanting. 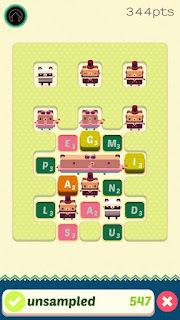 The game takes on a familiar old spelling game with a few interesting additions in the form of bears and a puzzle element. It is a free to play, on both iOS and Android, but has a $4.99 IAP to unlock unlimited honey (the currency to play each normal level). 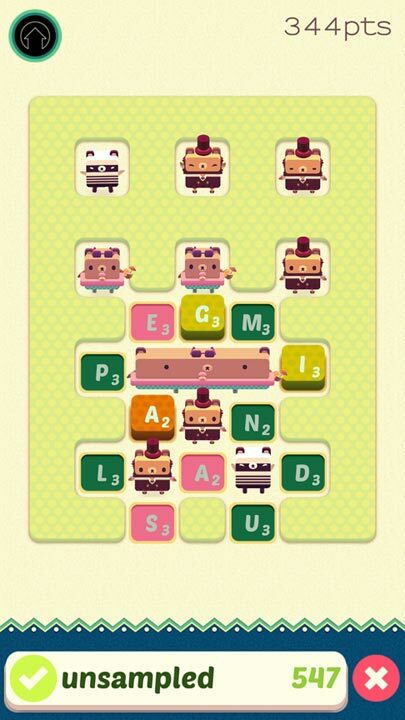 The gist of the game is to make a bear(s) expand as much as possible to multiply and increase your score. 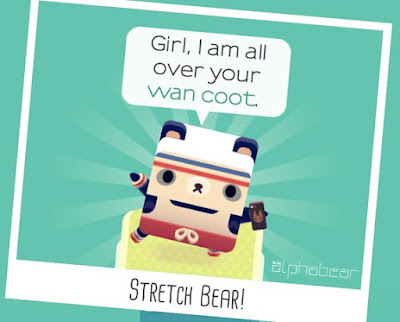 Each level has 2 goals, one nets you a bear, and the higher goal unlocks a rarer bear with better abilities. To reach the goals you need to use as many letters as possible, before their dual score/timer number depletes and that particular letter tile turns to stone and blocks off expansion. Each letter has a predetermined number of chances for use and the faster you can use it the higher its score value will remain. Players can do this in either mode of play choosing normal mode, allotting as much time as you need to clear the board, or a timed mode, which has a limit on the length of game stressing speed. 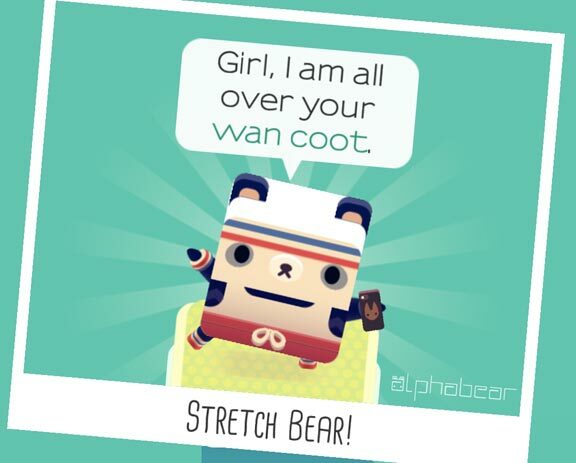 To help along the way are a series of bears players can unlock. Players can choose any of their bears (up to 3 per level), unless it is in a cooldown sleep from use, to add that bear's particular skills to the mode adding to the score bonus. 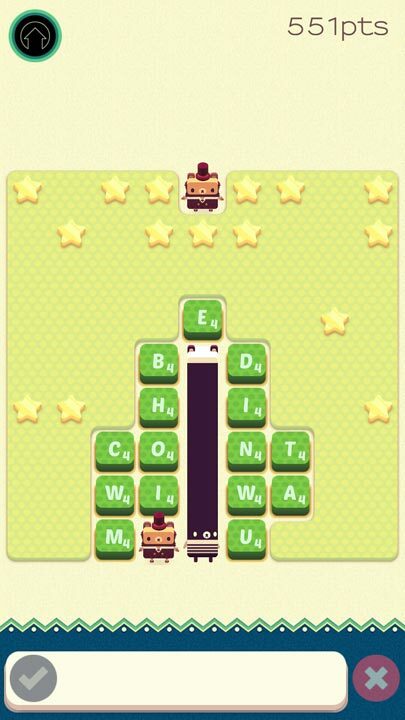 Some bears add extra time to the timed levels, some give more of a specific letter, and some give bonuses to words of a certain length. 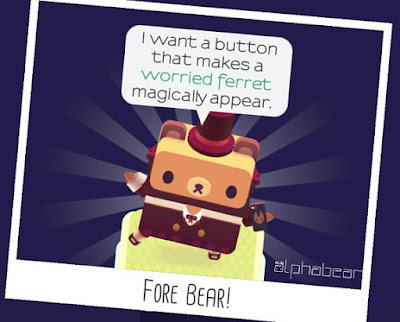 Each themed chapter has numerous levels each with their own goals and each also having a higher chance of unlocking a potential themed bear with its own special bonuses. As players get much further into the game the difficulty in strategy really ramps up. There comes times when you almost have to sacrifice some letters to progress. I had a level with 6 letters and 4 were Zs, making things extremely tough. Alphabear is somehow a magical blend of adorable, addictive, and accidental indecency, and is definitely worth the time to play. Anyone that likes Scrabble should give this game a go.